Let light stream forth into the minds of men. Let Light descend on Earth. Let love stream forth into the hearts of men. May Christ* return to Earth. The purpose which the Masters know and serve. And may it seal the door where evil dwells. Let Light and Love and Power restore the Plan on Earth. * Many religions believe in a World Teacher, a “Coming One”, knowing him under such names as the Lord Maitreya, the Imam Mahdi, the Kalki Avatar and the Bodhisattva. These terms are sometimes used in versions of the Great Invocation for people of specific faiths. The beauty and the strength of this Invocation lie in its simplicity, and in its expression of certain central truths – the truth of the existence of a basic Intelligence to Whom we vaguely give the name of God; the truth that behind all outer seeming, the motivating power of the universe is Love; the truth that a great Individuality, called by Christians the Christ, came to earth and embodied that love so that we could understand; the truth that both love and intelligence are effects of what is called the Will of God; and finally the self-evident truth that only through humanity itself can the divine Plan work out. This entire Invocation refers to that impending, overshadowing and revelatory storehouse of energy, the immediate cause of all events on earth which indicate the emergence of that which is new and better; these events demonstrate the moving onward of the human consciousness into greater light. The usual invocative appeal has previously been selfish in nature and temporary in its formulation. People have prayed for themselves; they have invoked divine help for those they love; they have given a material interpretation to their basic needs. This Invocation is a world prayer; it has no personal appeal or temporal invocative urge; it expresses humanity’s need and pierces through all the difficulties, doubts and questionings straight to the Mind and the Heart of the One in Whom we live and move and have our being – the One Who will stay with us “until the last weary pilgrim has found his way home”. In the first stanza, we have reference to the Mind of God as a focal point for divine light. This refers to the soul of all things. The term soul with its major attribute of enlightenment includes the human soul and that consummating point of light which we regard as the “overshadowing” soul of humanity. That soul brings light and spreads enlightenment. It is necessary always to remember that light is active energy. When we invoke the Mind of God and say: “Let light stream forth into the minds of men, let Light descend on Earth”, we are voicing one of the great needs of humanity and – if invocation and prayer mean anything at all – the answer is certain and sure. The fact that people in every age and every situation have felt the urge to appeal for help to the unseen Spiritual Centre, is a sure sign that such a centre exists. Invocation is as old as humanity itself. May Christ return to Earth. In the second stanza, the Heart of God is involved and the focal point of love considered. This “heart” of the manifested world is the spiritual Hierarchy – that great transmitting agency of love to every form in the divine manifestation. Love is an energy which must reach the hearts of men and women, and which must permeate humanity with the quality of loving-understanding; that is what is expressed when love and intelligence are brought together. relatively unimportant minority, they will be the largest and most influential force in the world. In the third stanza, we find a prayer that the human will can be brought into conformity with the divine will, even though that may not be understood. There is indication in these three lines that humanity itself cannot as yet grasp the purpose of God, that aspect of the divine will which seeks immediate expression on earth. But surely, as the purpose of the Will of God seeks to influence human will, it is expressed in human terms as goodwill, as living determination or as a fixed intention to bring about right human relations.The divine will, as it is essentially, remains the great mystery. Even Christ Himself struggled with the problem of the divine will, and addressed Himself to the Father at the moment when He first realised the extent and the complexity of His mission as world saviour. He then cried aloud: “Father, not my will but Thine be done.” Those words marked the relinquishing of the means through which He had been attempting to salvage humanity; it indicated to Him what might at that time have appeared to be an apparent failure and that His mission was not accomplished. For nearly two thousand years, He has waited to bring that mission into fruition. He cannot proceed with His assigned mission without reciprocal action by humanity. This Invocation is peculiarly and essentially Christ’s Own Mantram and its “sound has gone forth” to the entire world through the medium of His enunciation of it and through its use by the spiritual Hierarchy. Now its words must go out throughout the entire world by means of its enunciation by people everywhere and its meaning must be expressed by humanity in due time. Then Christ can again “return to earth” and “see of the travail of His soul and be satisfied”. In the fourth stanza, having invoked the three aspects or potencies of Mind, Love and Will, we have indication of the anchoring of all these powers in humanity itself, in “the centre which we call the race of men”. Here, and here alone, can all the three divine qualities – in time and space – express themselves and find fulfillment; here and here alone can love be truly born, intelligence correctly function, and the Will of God demonstrate its effective will-to-good. By humanity, alone and unaided (except by the divine spirit in every human being), can the “door where evil dwells” be sealed. The final line of the fourth stanza is perhaps in need of explanation. This is a symbolic way of expressing the idea of rendering evil purposes both inactive and ineffectual. There is no particular location where evil dwells; in the Book of Revelations, the New Testament speaks of evil and of the destruction of the devil and of the rendering of Satan impotent. The “door where evil dwells” is kept open by humanity through its selfish desires, its hatreds and its separateness, by its greed and its racial and national barriers, its low personal ambitions and its love of power and cruelty. As goodwill and light stream forth into minds and hearts, these evil qualities and these directed energies which keep the door of evil open will give place to a longing for right human relations, to a determination to create a better and more peaceful world and to a world-wide expression of the will-to-good. As these qualities supersede the old and undesirable ones, the door where evil dwells will symbolically slowly close through the sheer weight of public opinion and through right human desire. Nothing can possibly stop it. Thus the original Plan will be restored on earth. Simultaneously, the door into the world of spiritual reality will open before humanity and the door where evil dwells will be closed. Thus through the “centre which we call the race of men”, the Plan of Love and Light works out and strikes the death blow of evil, selfishness and separateness, sealing it into the tomb of death forever; thus also the purpose of the Creator of all things will be fulfilled. It is apparent that the first three stanzas or verses invoke, call for, or appeal to, the three aspects of divine life which are universally recognised – the mind of God, the love of God and the will or purpose of God; the fourth stanza points out the relation of humanity to these three energies of intelligence, love and will, and humankind’s deep responsibility to implement the spread of love and light on earth in order to restore the Plan. This Plan calls humanity to the expression of Love and challenges men and women to “let their light shine”. Then comes the final solemn demand that this “Plan of Love and Light”, working through the human kingdom, may “seal the door where evil dwells”. the divine purpose will then, through the changed hearts and goals of humanity, be achieved. 1. That of the general public. 3. That of the Members of the Hierarchy. First, the general public will regard it as a prayer to God Transcendent. They will not recognise Him yet as immanent in His creation; they will send it forth on the wings of hope – hope for light and love and peace, for which they ceaselessly long. They will also regard it as a prayer for the enlightenment of all rulers and leaders in all groups who are handling world matters; as a prayer for the inflow of love and understanding among people, so that they may live in peace with one another; as a demand for the working out of the will of God – a will of which they can know nothing and which ever seems to them so inscrutable and so all-inclusive that their normal reaction is patience and a willingness to refrain from questioning; as a prayer for the strengthening of human responsibility in order that the recognised evils of today – which so distress and trouble humanity – may be done away with. They will regard it finally as a prayer that some vague primeval condition of blissful happiness may be restored and all unhappiness and pain disappear from the earth. This is, for them, entirely good and helpful and all that is immediately possible. of spiritual education, engineered by disciples and carried forward by esotericists, will mature. This era began in 1875 when the fact of the existence of the Masters of the Wisdom was proclaimed. It has been carried forward in spite of misrepresentation, attack upon the concept, and scorn. Recognition of the substantial nature of the available evidence and the appearance of an intuitive response by occult students and many of the intelligentsia throughout the world has been helpful. 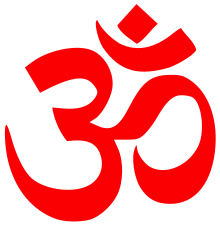 A new type of mystic is coming to be recognised; they differ from the mystics of the past by their practical interest in current world affairs and not in religious and church matters only; they are distinguished by their lack of interest in their own personal development, by their ability to see God immanent in all faiths and not just in their own particular brand of religious belief, and also by their capacity to live their lives in the light of the divine Presence. All mystics have been able to do this to a greater or lesser degree, but the modern mystic differs from those in the past in that he [or she] is able clearly to indicate to others the techniques of the Path; they combine both head and heart, intelligence and feeling, plus an intuitive perception, previously lacking. The clear light of the spiritual Hierarchy now illumines the way of modern mystics, and not simply the light of their own souls; this will be increasingly the case. Thirdly, both of these groups – the general public and the world aspirants in their varying degrees – have among them those who stand out from the general average as possessing a deeper insight and understanding; they occupy a no-man’s-land, intermediate on the one hand between the masses and the esotericists and, on the other, between the esotericists and the Members of the Hierarchy. Forget not, They also use this great Invocation and that not a day goes by that the Christ Himself does not sound it forth. The use of this Invocation or Prayer and the rising expectancy of the coming of the Christ hold out the greatest hope for humanity today. Great Sons of God have ever come on humanity’s demand and always will, and He for Whom all people wait today is on His way. The science of invocation is in reality the intelligent organisation of spiritual energy and of the forces of love, and these, when effective, will evoke the response of spiritual Beings Who can work openly among humanity and thus establish a close relation and a constant communication between humanity and the spiritual Hierarchy.It might be said that invocation is of three kinds. There is the massed demand, unconsciously voiced, and the crying appeal, wrung from human hearts in all times of crisis such as the present. This invocative cry rises ceaselessly from all those living in the midst of disaster; it is addressed to that power outside themselves which they feel can and should come to their help in their moment of extremity. This great and wordless invocation is rising everywhere today. Then there is the invocational spirit, evidenced by sincere men and women as they participate in the rites of their religion and take advantage of the opportunity of united worship and prayer to lay their demands for help before God. This group, added to the mass of human beings, creates a great wave of invocative appeal, and at this time their massed intent is in great evidence and their invocation is rising to the Most High. Then, lastly, there are the trained disciples and aspirants of the world who use certain forms of words, certain carefully defined invocations and who – as they do this – focus the invocative cry and the invocative appeal of the other two groups, giving it right direction and power. All these three groups are, consciously and unconsciously, swinging into activity at this time and their united effort guarantees a resultant evocation. By invocative prayer or aspiration – it matters not what word is used – spiritual energies are tapped and brought into activity, and by clear thinking, directed thought and mental perception, they can be made objects of human desire. This Invocation is essentially a prayer, synthesising the highest desire, aspiration and spiritual demand of the very soul of humanity itself. It must be used in that way. soul of humanity itself. It must be used in that way. When the trained disciple or the aspirant in training uses it, he or she will assume the attitude of meditation – that is, an attitude of concentration, spiritual direction and receptivity. Then the disciple will pray and will assume the attitude of meditation (an inner mental attitude and firm assumption), but employ the method of prayer which is a potent means of establishing and maintaining right spiritual and human relations. When in the attitude of meditation and using the implement of prayer (by means of the Invocation), the disciple attains a relationship with the mass of humanity not otherwise possible, implementing their recognised though unvoiced need. The disciple also attains a relationship with the spiritual Hierarchy Who are evoked by mass desire. A gigantic group meditation is going on in many different phases upon our planet. 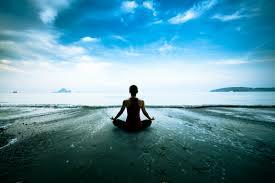 All the meditating units and the reflective groups are related to each other through unity of spiritual motive; they are seeking closer co-operation and endeavouring to bring their meditation work – consciously or unconsciously – into a state of positive universal quiet, so that the formulation of spiritual desire can be carried successfully forward, and the reception of spiritual energy can be a united reception. A great effort towards alignment is going on through individual prayer, meditation and invocation, which, as it strengthens, can serve all humanity. Each can aid through the regulation of thought and ideas, through the cultivation of a loving spirit and the use of the Great Invocation through which these spiritual forces and energies – so sorely needed – can be invoked. to certain levels of thought not previously attained. the inchoate, voiceless appeal of the masses; and also by the planned, defined invocation of the spiritually oriented aspirant, the intelligently convinced worker. In the lawless and wicked period of the Roman Empire, the Christ came. governing the relationships of people in the West have been founded. Then Christ came and gave to us the fundamental law of the universe, the law of love; He also gave us the Lord’s Prayer with its emphasis upon the Fatherhood of God, the coming of the Kingdom and right human relations. “man or woman in the street”) one of the oldest prayers ever known, but one which previously had not been permitted to be used except by the most exalted spiritual Beings. He used it Himself for the first time, we are told, at the time of the Full Moon of June, 1945, which is recognised as the Full Moon of the Christ, just as the Full Moon of May is that of the Buddha. It was not easy to translate these ancient phrases (so ancient that they are without date or background of any kind) into modern words, but it has been done, and the Great Invocation may eventually become the world prayer. on behalf of this Great Invocation. the need for light and love, for understanding of the divine will and for the end of evil. It says triumphantly: “Let Light descend on Earth; may Christ return to Earth; let purpose guide the little wills of men; let the Plan . . . seal the door where evil dwells.” It then sums it all up in the clarion words: “Let Light and Love and Power restore the Plan on Earth.” Always the emphasis is laid upon the place of appearance and of manifestation: the Earth. for the end of evil. of spiritual development and impart a synthesis to human thinking which has previously been lacking. As “light shines forth into the minds of men”, the divine Plan will be more widely sensed and the will-to-good will be more widely desired and invoked. of goodwill, and the disciples of the world are all concerned in this invocation, bringing in the attributes of instinct, intelligence and intuition. All are blended in the Great Invocation. Have also constantly in mind this basic fusion, now finding voiced expression, and take courage from the massed approach to the source of all life, love and light. Nothing can withstand the united demand of people everywhere in their graded and serried ranks.The momentous significance of this presentation of a cosmic, planetary and individual alignment exercise, prayer or invocation is that it provides, as a result of its correct use, a spiritual inflow right to the very heart of humanity and from the highest sources. The uniqueness connected with the Invocation consists in the fact that it is, in reality, a great method of integration. It links the Father, the Christ and humanity in one great relationship. Christ emphasised ever the Fatherhood of God and substituted it in place of the cruel, jealous tribal Jehovah. In the 17th chapter of St. John’s Gospel (which is another of the major spiritual statements of the world), Christ emphasised the relation of the Christ consciousness to the consciousness of Deity Itself. He linked the concept of the Spirit to the fully developed soul-infused human being; and the underlying unity existing between all beings in all forms and the Father. The Great Invocation relates the will of the Father, the love of the spiritual Hierarchy and the service of Humanity into one great Triangle of Energies. This triangle will have two major results: the “sealing of the door where evil dwells”; and the working out through the power of God, let loose on earth through the Invocation, of the Plan of Love and Light. This Invocation is also unique in the sense that it invokes all the three divine aspects simultaneously. No one can use this Invocation or prayer for illumination and for love without causing powerful changes in his or her own attitudes and life intention; character and goals will be changed and life altered and made spiritually useful. “As a man thinketh in his heart so is he” is a basic law in nature; the constant turning of the mind to the need for light and the prospect of illumination cannot and will not be ineffectual. The spiritual Hierarchy of the planet cares only that humanity, as a whole, avails itself of spiritual opportunity. It is an opportunity which is present today in a more compelling way than ever before. The Great Invocation has been given us at this time of opportunity for our use in co-operation with Those who use it on behalf of humanity. This Invocation belongs to no one individual or group. It belongs to all humanity. Tens of thousands of people of goodwill throughout the world are using it every day. The climax to this continuous invocatory appeal is the day of the Full Moon of June. (This is the Full Moon of Gemini sometimes occurring in May. The time of the full moon is recognised throughout the world and is not affected by calendar differences). 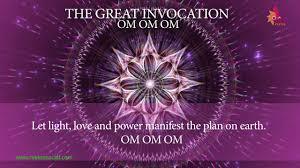 On this day a simultaneous and worldwide voicing of the Invocation sounds forth as a great outpouring invocative appeal on behalf of all humanity. of any group or individual. 2. The keynote of Resurrection, emphasising the new note of livingness, of the living Christ and of that “life more abundantly” which the (second world) war made possible by forcing a return to the real values. 3. The keynote of Contact, of a closer relation between Christ and His people, between the Hierarchy and Humanity. and then the united Hierarchy will intone the stanza alone, invoking light, love and the will-to-good (one on each of the three days). by a climaxing day wherein the Hierarchy will unitedly, and led by the Christ, pronounce the entire Invocation, prefacing each stanza with its appropriate keynote, again sounded in unison. The rendering of “seven ancient word-forms” into modern language was the supreme achievement of Alice A. Bailey and the Tibetan, Djwhal Khul’s 30 years of work together, and for over 70 years the Great Invocation has been sounded throughout the world and translated into over 70 languages and dialects. As a result of its worldwide use over the years, the energies invoked by the Great Invocation can now be said to be deeply anchored in human consciousness. The Great Invocation was always intended by the Tibetan, Djwhal Khul, to be given mass distribution and to become a world prayer. 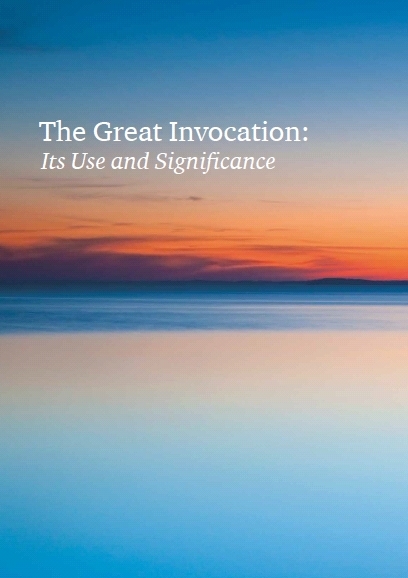 Now, in an increasingly pluralistic and multicultural world, the need is to continue to make the Great Invocation accessible to as many people as possible. This matter seems particularly urgent now, because in the year 2000 another direct impact of Shamballa energy – the will – occurred, and the Great Invocation is the major agent for the transformation of the human will. Language is a living, changing means of expression, in keeping with changes in human consciousness. 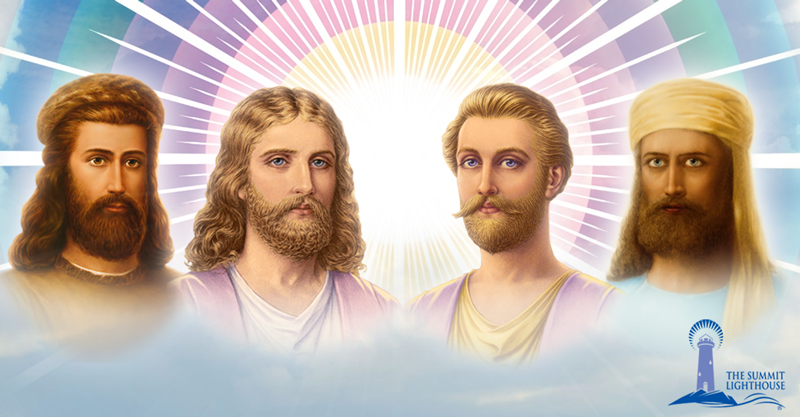 Therefore, after much discussion, reflection and group meditation, the members of the international Board of Trustees of the Lucis Trust and the headquarters group in the three centres have concluded that the mass distribution of the Great Invocation – which is intended to be Christ’s own mantram for the Aquarian age – must be allowed to accommodate slight modifications of language without changing its meaning. Our hope is that, if this decision will enable larger numbers of people to work with the Great Invocation in a slightly adapted form, it will continue to foster the transformation of consciousness so necessary in this period of planetary crisis. Let light stream forth into human minds. Let love stream forth into human hearts. May the Coming One return to Earth. 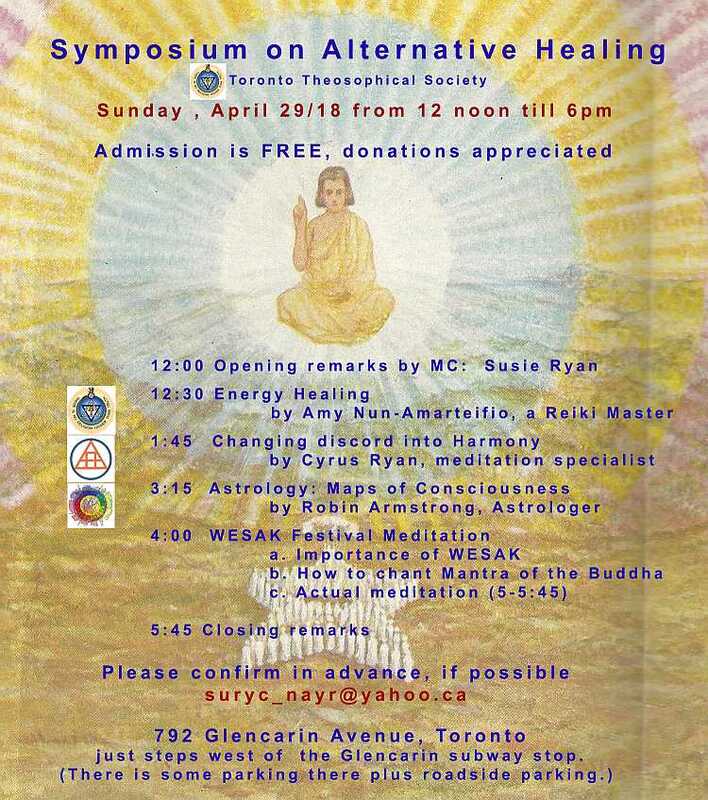 Copyright © 2019 Toronto Theosophical Society.